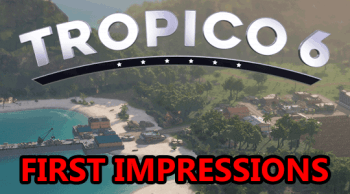 What does an AMD R5 2600, an RTX 2070, and 16GB of DDR4 RAM have in common? They're all in this build! That's to say, when it comes to squeezing the absolute maximum performance out of a $1000 gaming PC build, this one does just that! 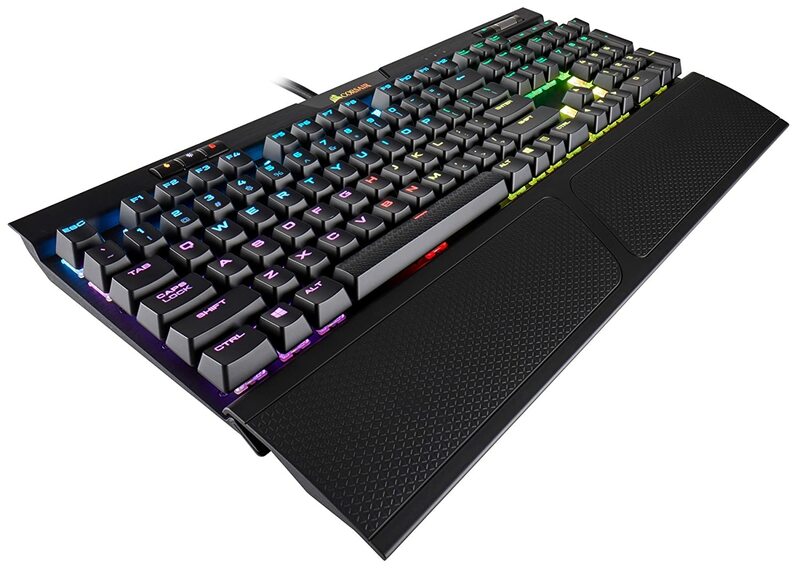 It's fully-loaded with a 6-core/12-thread AMD Ryzen 5 2600 processor, a RTX 2070 graphics card with 8GB of GDDR6 VRAM, and 16GB of 3000MHz DDR4 RAM. This beast of a build is easily capable of maxing out the most demanding AAA games in 1440p without an issue while easily netting 60fps+. In 4K, it's going to stand strong and perform great, 60fps+ in demanding AAA games won't be an issue here either. With that all said, let's not waste any more time on this intro and get down to the build! Mid-tower ATX case, great layout, big tempered glass window, full PSU shroud, comes with 1x 120mm fan. AM4 socket, B450 chipset mATX motherboard. 6x SATA, 1x M.2 NVMe, 6x USB ports. 3.9GHz processor, 6-cores 12-threads. Comes with a CPU cooler. Great for content creators. 8GB GDDR6 graphics card, 4 display outputs, amazing 1440p and solid 4K performance! 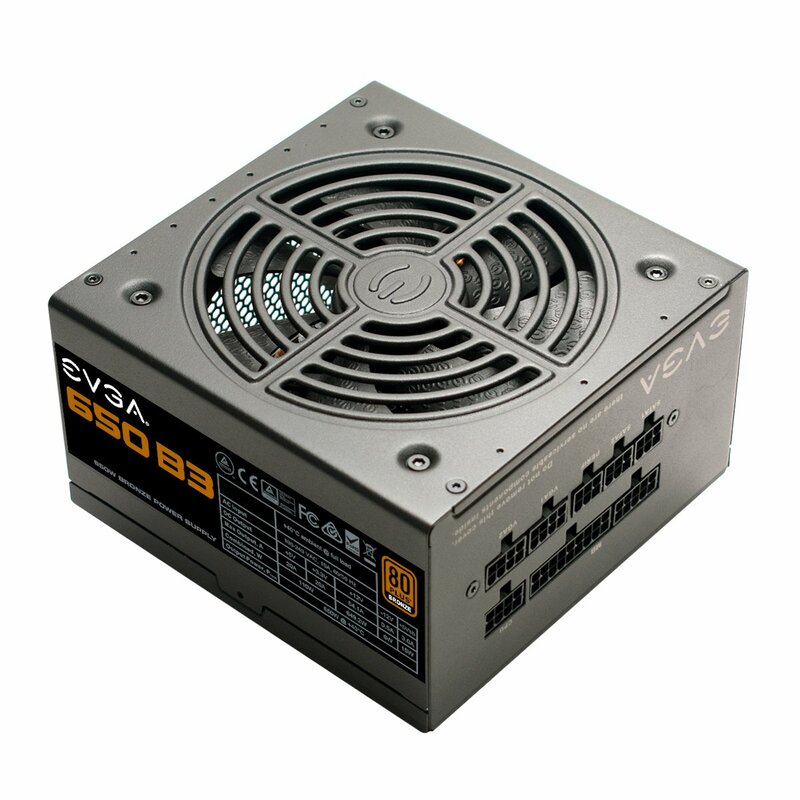 650W semi-modular power supply, up to 85% efficiency, 5-year warranty. 2x8GB 3000MHz DDR4 RAM, dual-channel pair. The standard 7200RPM 1TB HDD for all your mass storage needs. Below you'll find some suggested add-ons for this build, some I'll mention more in-depth further down this page, but some are pretty self-explanatory like optical (DVD/CD) drives. Although not entirely necessary, optical drives can sometimes come in handy and I strongly recommended having one; if you have an old PC kicking around, it's optical drive will more than likely work for you and you won't need to buy a new one. An SSD is definitely recommended for this build; but, it’s not mandatory. 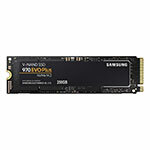 Even better than a traditional SATA SSD is an M.2 NVMe SSD. The Samsung 970 EVO Plus is definitely one of the best. A lot of people are moving away from internally mounted optical drives, and it’s easy to see why! 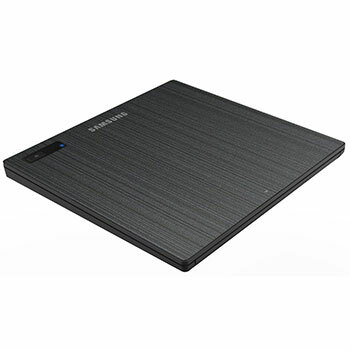 This one is definitely one of the cheaper & better external optical drives to consider. AMD's 2nd generation of Ryzen processors have turned out great for computers that will be used for both gaming and productivity. By productivity we're talking things like streaming, editing video, rendering video, and things like that. 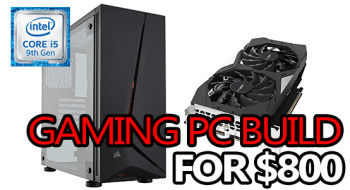 Keep in mind that the price listed above is for the core components only, you will still need an operating system, and any other peripherals you don’t currently have. Case: Phantek's P300 Eclipse is one of my usual go-to mid-tower ATX cases for builds in this price range; and not without good reason. It's easily one of the best cases you can get in the ~$60 price range, especially if you're looking for higher-end features like a tempered glass window and a full PSU shroud. The P300 comes with everything you'll need right out of the box, including the mounting hardware you'll need and a single 120mm fan. It's worth noting that although a single fan will work, it's worth it to consider adding 1-2 more. Although it comes in a variety of colors, if you're not a fan of how the P300 Eclipse looks, there are tons of other cases you could get for around the same price. Look for mid-tower ATX cases. 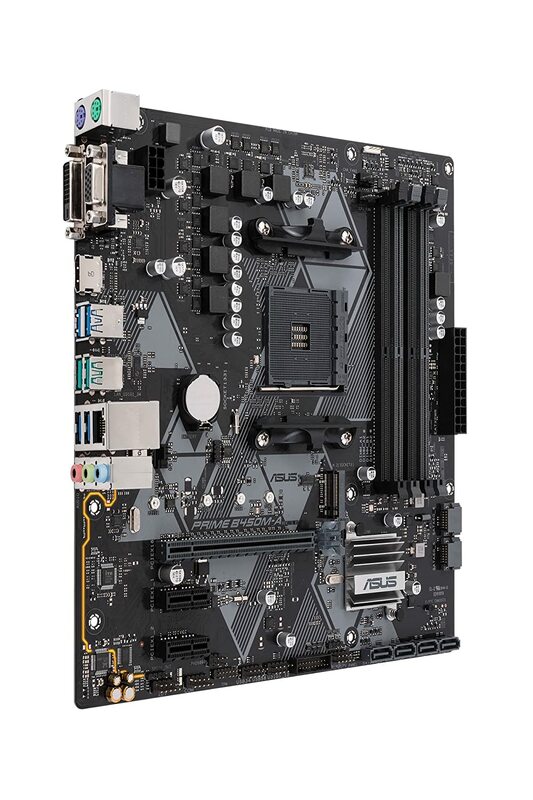 Motherboard: The Asus B450M-A/CSM is a good mATX sized AM4 socket/B450 chipset motherboard for the price. 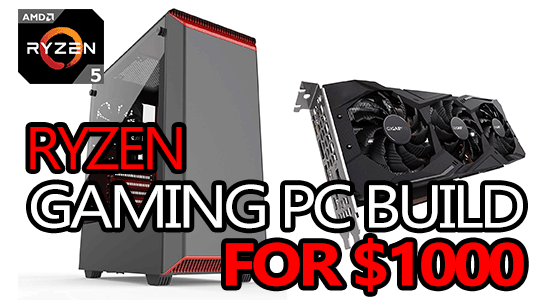 It comes with everything you'll need for the components in this build as well as the majority of any future upgrades. It gives you a plethora of USB options, 6x SATA ports + 1x M.2 NVMe, 4 slots for DDR4 RAM, 2 case fan headers, and even an RGB header. Processor (CPU): The new R5 2600 is considered to be the "sweet spot" in AMD's new Ryzen 2 lineup; the price is good, the performance is great, and it comes with a great CPU cooler. It's clocked at 3.9GHz out of the box across 6 cores running 12 threads for awesome productivity capabilities as well as gaming performance. Graphics Card (GPU): An 8GB RTX 2070 will handle any AAA game you can throw at it in 1440p 60fps+ without even flinching. Less intensive games like CS:GO, Overwatch, LoL, or practically any MOBA will run flawlessly and in excess of 200fps+ without an issue in any resolution from 1080p to 4K. While playing AAA games in 4k, it'll have no problem pumping out 60fps+ in graphically demanding games, as long as you don't mind running mid-high settings. 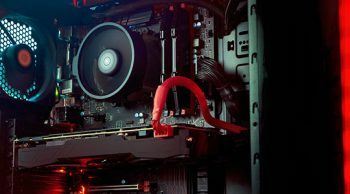 MSI's RTX 2070 Ventus 8G is a great option when it comes to picking a graphics card thanks to its optimal cooling, sleek profile, and it's ability to outperform a GTX 1080 for less money. Power Supply (PSU): 650 watts of 85% efficiency power is more than enough for this build. With that in mind, EVGA's fully-modular 650 B3 power supply will work perfect. Being fully-modular, this supply will make your cable management much cleaner and easier to work with - no more hiding a dozen unused cables! 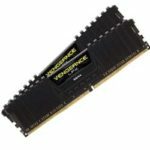 System Memory (RAM): 16GB of 3000MHz DDR4 RAM is going to give you plenty of multitasking potential, but there is still lots of room to expand to 24 or 32GB if you wanted/needed to. The mobo in this build as well as the R5 1600 can actually support upwards of 3000MHz DDR4 RAM, but I couldn't quite fit that into the budget - if you wanted to upgrade to that yourself, it wouldn't be a bad idea because Ryzen likes fast RAM. Storage: If you've been following this build for a while, you might have noticed that something disappeared from the build list... Well... I had to sacrifice something to make way for more sheer power, so I chose part of the previous storage setup. This build no longer comes with an HDD + SSD by default, but instead just comes with a 1TB HDD. If you wanted to add your own SSD beyond that, it would be a great idea. All-in-all, this is the top of the mid-range and right on the cusp of being a high-end build. In fact, I have a hard time calling it mid-range considering the sheer amount of power it's packing. An R5 2600 + GTX 1080 + 16GB of RAM is pretty much a high-end build if you ask me. When it comes to picking an operating system, we're pretty limited in our choices. 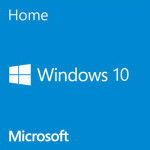 We have Linux-based choices that'll work alright for the most part as a free solution, or we have Windows. On one hand, a Linux-based OS can be a great and affordable solution when you're on a tight budget, but on the other hand, Linux isn't entirely compatible with everything and you'll have to take some extra steps to get some programs/games to work. 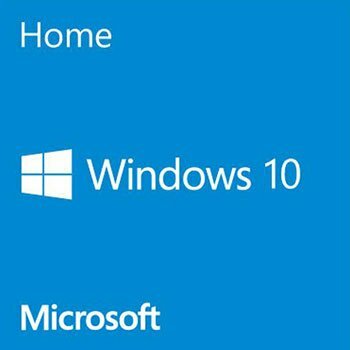 So, that being said, we're pretty much limited to Windows if we want complete compatibility with everything out of the box. Not only that, but if you want to take advantage of DirectX12, then we're even more limited to just Windows 10. 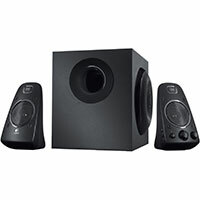 If you don't already have things like a monitor, mouse, keyboard, and some kind of audio, you might want to take a look at some of my suggestions. They're hand-picked to match this budget level, and they're all great peripherals. A great 27″ 1080p 144Hz monitor with a VA panel and G-Sync compatibility! Cherry MX Silver mechanical switches. Customizable RGB backlighting. All-around amazing keyboard! 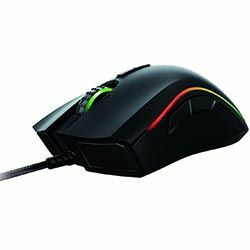 Chroma RGB lighting, very comfortable to use, great sensor accuracy. 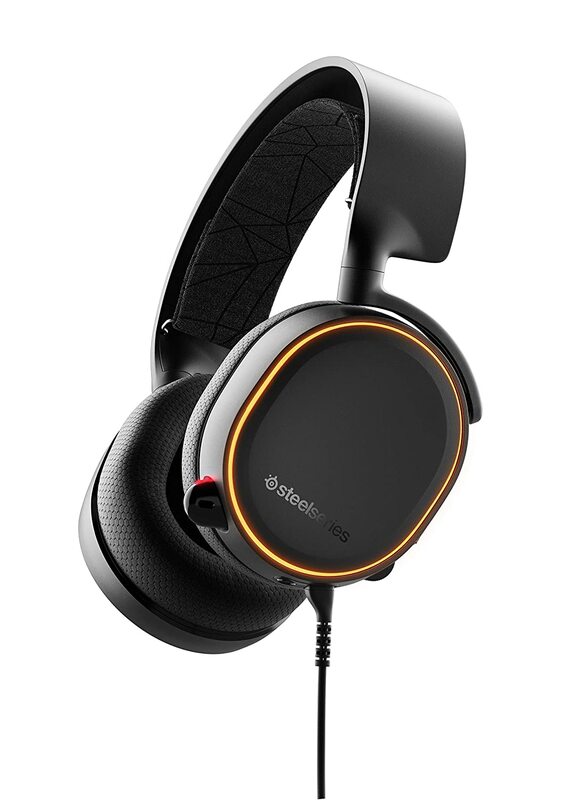 Easily one of the best gaming headsets you can get, in my opinion. 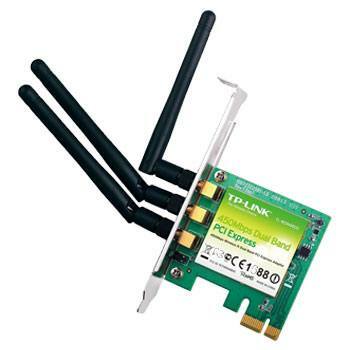 If you plan on using a WiFi connection, then you're also going to need some kind of WiFi adapter as very few motherboards come with it built-in. 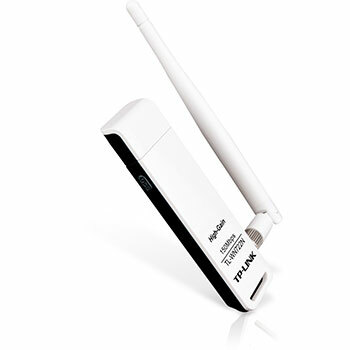 You have a couple of options, either a USB-based WiFi adapter, or one that mounts internally, but you only need one. USB is more convenient and much cheaper in most cases, but they're often less reliable than an internally mounted unit. When it comes down to it, this build is an awesome dual purpose workstation/gaming rig due to the 6-core/12-thread R5 2600, 16GB of 3000MHz DDR4 RAM and the 8GB GTX 1080. Not only is it going to power through all of your favorite games without a hitch, it's going to help you be more efficient in your productivity tasks. If you're a content creator, or you want to be a content creator, this is the kind of PC that you definitely need to consider! If you have any questions about this build or any of my recommendations, don't hesitate to ask me in the comment section! Could this build edit videos with 1440p resolution and 60fps? I’m looking for a PC build for about $1k that can at least render 1080p and do it fast. It could, but to make it even better I’d upgrade the CPU from the R5 2600 to the R7 2700 (no other changes would be required to accommodate the upgrade). It’ll give you way faster render times in comparison. Can it run game at 1440p 144hz? For the most part, no. The RTX 2070 will get more like ~100fps in 1440p, but it really depends on the game as they all perform differently. Still, the difference would be noticeable on a 144Hz monitor with FreeSync/G-Sync (FreeSync is compatible with Nvidia GPUs now) when compared to 60Hz. If you wanted 1440p 144fps gaming, you’d have to be looking at setups more like my $1500 build with an RTX 2080 and a more powerful CPU. What would you recommend more for this build? A 1080p 144hz monitor or a 1440p 60hz monitor? That would come down to the type of games you play most often. 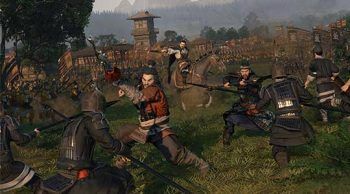 If you’re more into RPGs, RTS, and/or big open world games, 1440p 60Hz might be best. But, if you play more FPS/TPS and/or competitive eSports games, 1080p 144Hz-240Hz would potentially be the better choice. Just to make your decision a little more difficult, this build could even make use of a 1440p 144Hz FreeSync/G-Sync monitor. 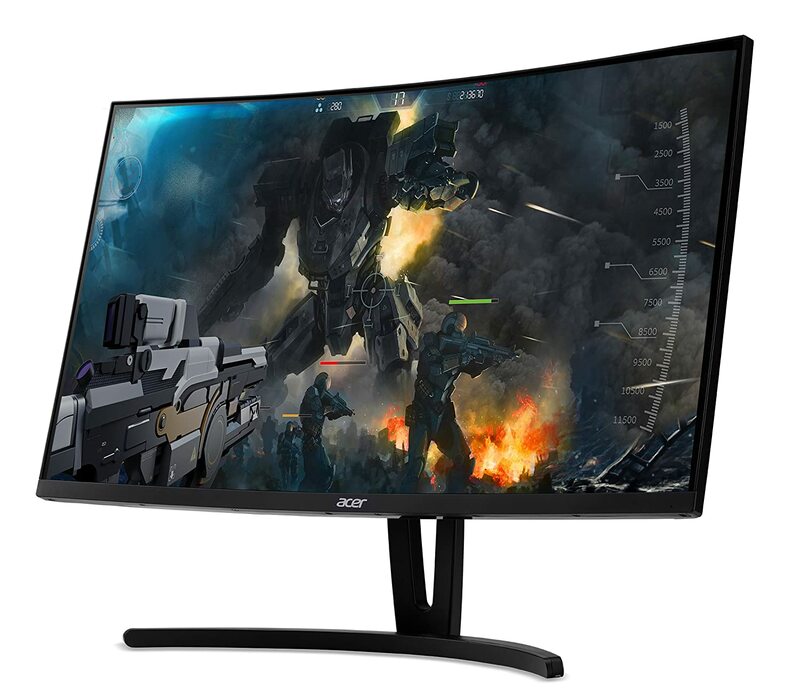 With that said and since Nvidia has enabled FreeSync support on their GPUs, I would go for a 1440p 144Hz FreeSync monitor at this level – likely the Acer XG270HU. No problem! It’s definitely one of the better 1440p 144Hz FreeSync options without spending a huge amount of $. That would be the GPU. You’ll (almost) always get the biggest gains (per $ spent) via GPU upgrades. 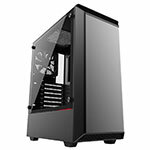 i’m upgrading the case in this build to Phanteks Eclipse P400 Steel Tempered Glass Edition case which will give me room for 240mm liquid cooler (top or front) or 140mm in the back. i’m also upgrading to 2700x processor and the rest being the same as your build. with this in mind which liquid cooler, if any, would you recommend? I’d go for either the Corsair H100i RGB Platinum, or the NZXT Kraken X52. That said, if you’re upgrading the case anyway, you might want to check out the NZXT H500 or even the H500i, both are great cases – I’ll be doing a build video featuring the H500i as my general “how to” guide in about a week or so. 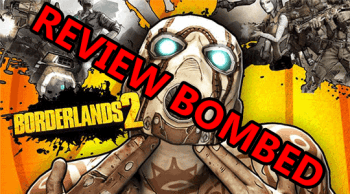 Do you know of any reviews of people who have used this build before? Sorry that you feel that way, there’s nothing cheap about an RTX 2070 + R5 2600 + 16GB of RAM. I built pretty much this exact build for someone locally about 2 weeks ago. But, if you’d like to make it more expensive, you could swap out the motherboard with this one. Swap out the case with this or something similar. 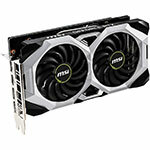 Then switch to this RTX 2070 model. Those 3 changes should add about $300 to the cost of your build, but it won’t run any different. If the storage is too potato for you, why not try a 512GB M.2 NVMe SSD instead? 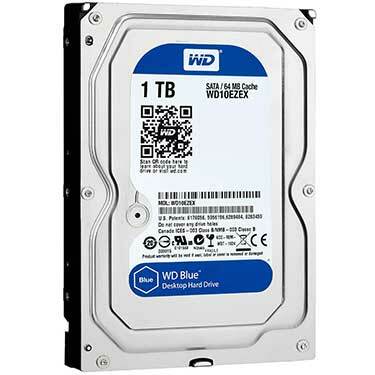 That’ll add another $120 if you remove the 1TB HDD. If you’re worried that a 2070 will be too potato for you, another option is upgrading to either the Radeon VII or the RTX 2080. This will add roughly $300 either way. Another upgrade you could make to spend another ~$150 is upgrading from the R5 2600 to an R7 2700X. But, it won’t run any better in the majority of games. However, if you have plans of streaming, a 2700X will give you noticeably better performance while doing that. In total, those upgrades should add about $570-$770 to the total cost, depending if you go with the upgraded RTX 2070 or Radeon VII/RTX 2080 – definitely not cheap anymore! Keep in mind that unless you upgrade to the 2080 or a Radeon VII, there won’t be any noticeable performance difference when strictly gaming. Oh, you could also upgrade the RAM to some with RGB lighting if you’re going for lots of feature lighting. Might seem gimmicky, but RGB RAM can really enhance the look of a build (imo). Sorry man I didn’t mean to sound rude or nothing, Ive just been told pc building is extremely expensive and this seemed too good to be true! So again my bad, I know nothing about pc and am trying learn. 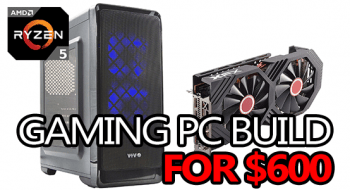 PC building CAN be expensive, that’s without a doubt. Especially once you start getting into the super high-end or you’re building a custom water loop (just a custom water loop can range upwards of $500!). 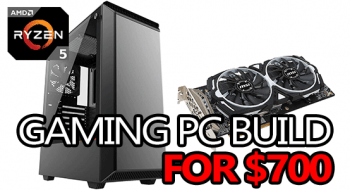 But, with that said, building a good gaming PC doesn’t have to be expensive. There’s a huge array of parts to choose from and (like you saw in the previous reply) sometimes you can end up spending +$500 to achieve effectively the same level of performance. 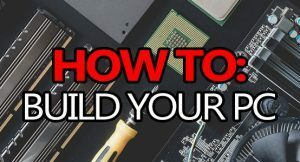 With my builds, I always try to maximize price vs performance – if someone wants to customize one beyond that level with different/more expensive parts, that’s entirely possible thanks to how modular desktops are.